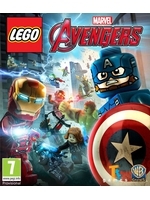 The Marvel cinematic universe mixed with the Lego humor brings LEGO Marvel's Avengers. It will be out this Winter on almost all platforms. In what sense? I'd assume it'll have a story and characters not present in any other lego game. But if you mean in the sense they're all the same shallow crap gameplay wise and are thus redundant...then, well yeah, i agree. My thoughts exactly: "Wait, hasn't this been released years ago?" Anyway, I love the humorous take on the franchises. The gameplay is ok for someone who likes to collect/unlock stuff and replay levels to find the secrets, and the cinematics are a great motivation to keep going on the first and possibly only playthrough for everyone else. The Lego Starwars games that have started it still have a place in my personal Hall of Fame.